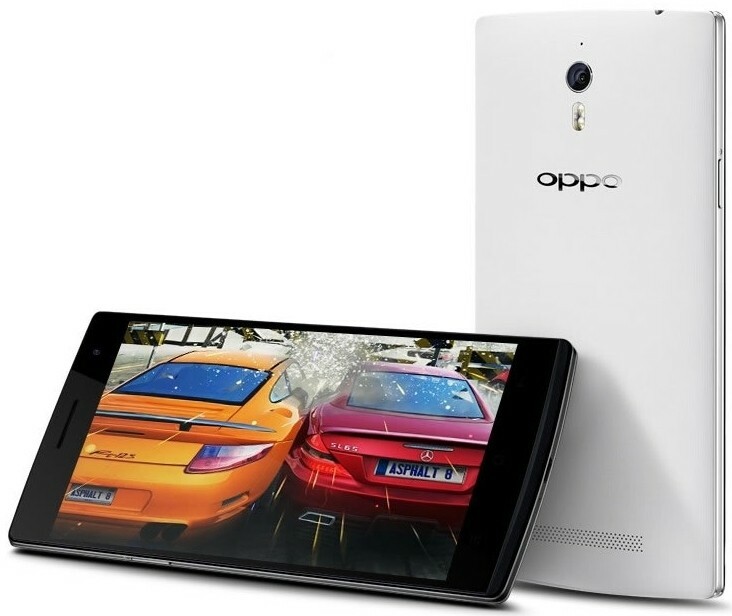 Chinese smartphone manufacturer Oppo is making waves today with a new handset known as the Find 7. The 5.5-inch device may not look overly impressive at first glance but don’t dismiss it just yet as there’s plenty under the hood to get excited about. It all starts with a 5.5-inch Quad HD display operating at a resolution of 2,560 x 1,440 that’s coated in Gorilla Glass 3. If you’re keeping count, that’s good for 538 pixels per inch – not too shabby. The handset is powered by a quad-core Qualcomm Snapdragon 801 Soc clocked at 2.5GHz, 3GB of system memory and 32GB of onboard storage. There’s also a microSD card slot should you need more space. Garnering the most media attention, however, is the rear camera. It’s a 13-megapixel Sony Exmor IMX214 sensor with a few tricks up its sleeve. By snapping 10 pictures in rapid succession and selecting the best four, the software can automatically combine them to create a 50-megapixel “Super Zoom” image. Make no mistake, it’s a gimmick through and through, although Engadget was quite impressed with its performance regardless. A 3,000mAh battery should keep everything powered for quite some time but should you run low on juice, the phone can be recharged to 75 percent battery life in just 30 minutes. Support for a wide range of LTE bands will ensure speedy data on the go. The Find 7 runs Android 4.3 Jelly Bean under a custom firmware known as ColorOS. The Oppo Find 7 will be available by the middle of next month priced at $599 sans contract.